Have your company name prominently displayed on the official Nutrition 2019 tote bag. Provided to each attendee onsite, the tote bag will generate repeated visibility for the sponsor during and after the conference. Showcase your company logo on ALL Exhibit Hall aisle and directional carpet signs. The aisle signs are hung from the ceiling and are highly visible throughout the Exhibit Hall. Your exhibit booth’s aisle sign can also be in your corporate color. Carpet sticker signs will be at each aisle at the front of the Exhibit Hall. Your custom graphics will appear on each aisle sign. 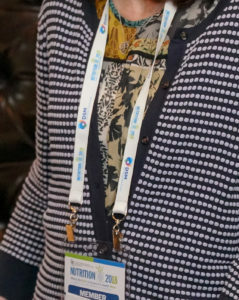 Place your company logo along with the Nutrition 2019 logo on the official lanyard of this inaugural conference. Worn by all attendees, your brand will be highly visible throughout the meeting. 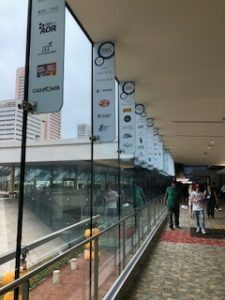 Include your company graphics and logos on four Nutrition 2019 directional signs used to help attendees navigate the convention center. These signs measure 1 meter wide x 3 meters tall. Sponsors have one ENTIRE side/panel for your graphics. • Sponsorship acknowledgement on website, signage, and mobile app. Place your custom graphics on room keys at the five official Nutrition 2019 hotels. Additional hotel fees and production costs apply. 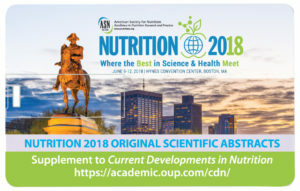 Supporter will have company logo on unique wallet-sized card that includes a separate flash drive with the Nutrition 2019 abstracts. For the morning break in The Hub, your company will be prominently promoted and featured as the sponsor. ASN can work with you to incorporate your booth during the break as a traffic builder as well. 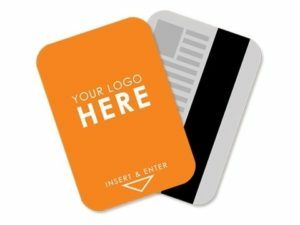 sponsor can distribute literature or company information at your station. Have your company name and/or brand(s) highly visible to Nutrition 2019 attendees with a package of window clings and banners. Spaces are available in prominent locations in the convention center and along the highly trafficked skybridge between the host hotel and the center. Call for options and availability. Supporter will be able to provide preprinted branded water bottles for distribution to attendees. Supporter name will be featured on signage at water dispensers located throughout the convention center outside of the educational sessions. Display your custom graphics on the back of the t-shirts worn by the staff distributing Nutrition 2019’s daily conference newspaper. Your graphics will be seen by all attendees each morning as the staff hands out the newspaper. Supporter receives corporate or product branding on the median of selected escalator bank in the convention center or host hotel. 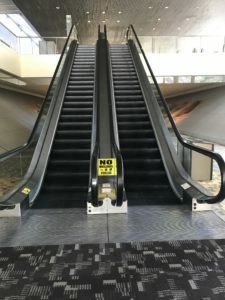 This is an excellent way to reach attendees as they move about the convention center at Nutrition 2019. Make life easier on meeting attendees by offering a place for them to stash their belongings. Supporter name/logo will be featured on signage and in program. You can promote this service from your booth or special event. 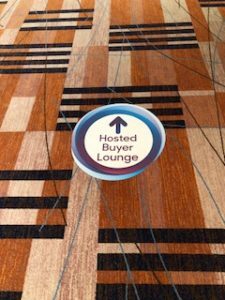 Floor stickers lead attendees from the Exhibit Hall entrance to your booth. These stickers will feature your custom graphics along with the Nutrition 2019 logo. This package includes a total of five floor stickers, with an approx. size of 2’ x 2’. 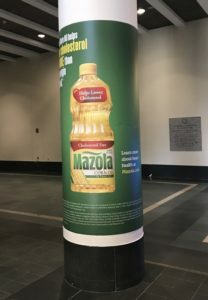 Column wraps allow for three vertical panels of custom advertising graphics, with Nutrition 2019 header and footer. These wraps are placed in strategic locations outside of the educational sessions throughout the Convention Center for maximum visibility. • A predetermined number of vouchers printed with your company name and booth number. 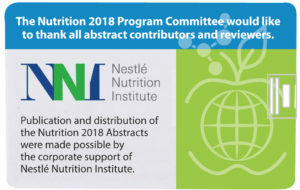 • One-time eBlast promotion to invite attendees to pick up voucher at your booth, prior or during Nutrition 2019. 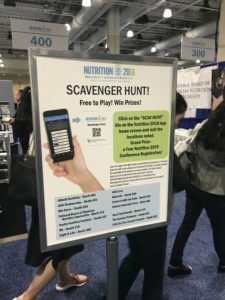 Launched at Nutrition 2018, the Expo Scavenger Hunt was a fun and effective way to get traffic to exhibitors’ booths. Attendees will use their Nutrition 2019 app to visit booths designated as a stop on the Scavenger Hunt. Using their phone/mobile device, they will scan a QR code at each stop, answer a question provided by the exhibitor, and accumulate points towards ASN prizes. It’s an excellent way to build booth traffic and engage with attendees in Baltimore. Reserve your stop on the Scavenger Hunt today.